The National park Pieniny is located in Slovakia and Poland. The border between these two countries runs through it. The national park is well known because of its complicated geological structure. 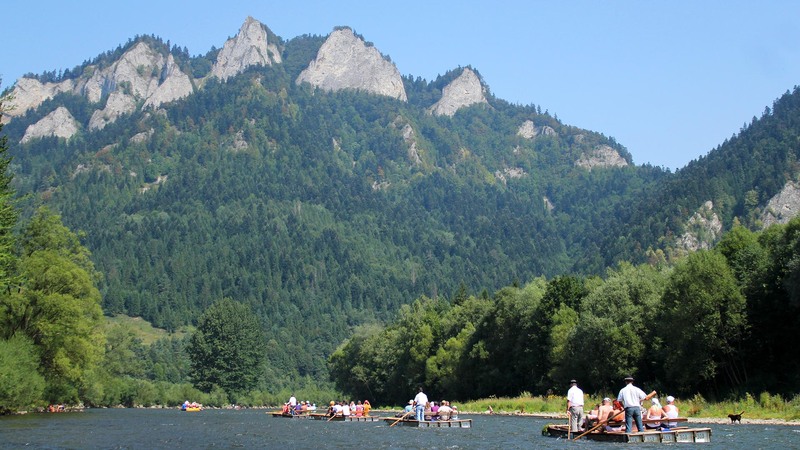 The landscape is dominated by the attractive Dunajec Gorge and many huge cliffs off rocks. The most dominant of these are Tri Koruny (Three Crowns), which are located on the Polish side of the river. They are 982 meters above sea level. They have many interesting features which stand up. The Pieniny was formed and named as a National park in 1967. It was only 2125 hectars. At the present time it has 3750 hectars. The National park Pieniny is situated within the nature reservation which is 22 444 hectars. The National park has a lot of signed tourist route in it. The best known park is the one actually along-side the river. This part takes you from Cerveny Klastor to Lesnica. The area northwest of the area known as Spis, between the hills called Spisska Magura and the river Dunajec, is a region called Zamagurie. This region is best known because of it´s valuable historical sites. Out of all the nature and beauty in the region, gorge stands out the most. The most important historical is village of Cerveny Klastor (Red Monastery). The region Zamagurie has a magical atmosphere. This is said to be because of it´s old folklore architecture building.